Our story started about nine months after the earthquake in Nepal, but before that here is a bit of background about who we are: Roads to Rehab Nepal is run by a group of five multi-talented individuals, four of whom are health professionals. All have spent time in Nepal. Virginia is the founding Trustee and has a multitude of roles within the organisation. Paul is our Treasurer and we have three Management Committee Members – Therese, a physiotherapist, Lenore, an Occupational Therapist and Gina, an ex-nurse and international development expert. The organisation was established by Virginia who has a long and enduring history in Nepal. She has visited the country thirty-one times since 1996 in a varied capacity which included trekking and accompanying trekking groups for Adventure Thamserku, the best trekking company in Nepal! She has volunteered several times as a member of a surgical team with an organisation called Open Heart International and helped establish Classrooms in the Clouds, a UK based educational charity with a presence in Australia. In 2012 she set up an organisation called Langtang Valley Health (Australia). This project was tragically destroyed by an avalanche that fell on the village following the earthquake in 2015. 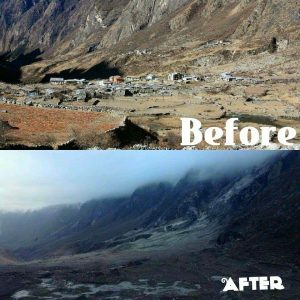 The loss of the Langtang village, the medical facility and its staff was devastating to everyone who knew and loved and lived in Langtang. Since then she has helped the Australian Himalayan Foundation with a pilot project in the Solu Khumbu region based on the nurse initiated model of care she developed for Langtang. 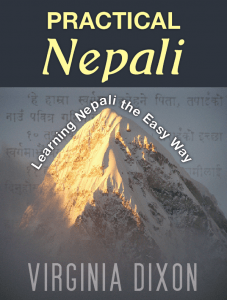 Virginia has also written a Nepalese language book – Practical Nepali – Learning Nepali the Easy Way – which is for sale on Amazon and is great for people who want to be able to speak passable Nepalese but don’t need to know how to read or write the script. 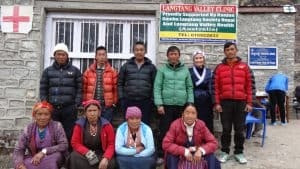 But back to the story…..After raising $80,000 the difficult decision was made to close Langtang Valley Health (Australia) down for a multitude of complex reasons. Virginia had been following NHEDF on Facebook for a number of months and was so impressed with what they were doing and the support NHEDF received from people in Nepal itself, not just visitors. She offered to help and Samrat graciously accepted. Whilst she hoped that millions of dollars would simply drop into the bank account as if by magic, she came to the conclusion that she would just have to bite the bullet and spend several months doing all the administrative work to set up another organisation. Roads to Rehab Nepal was born in December 2016. 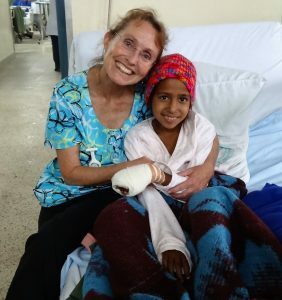 Virginia also experienced a fistula as a result of medical negligence and has always wanted to do something to help women living with fistula, hence our fistula project.